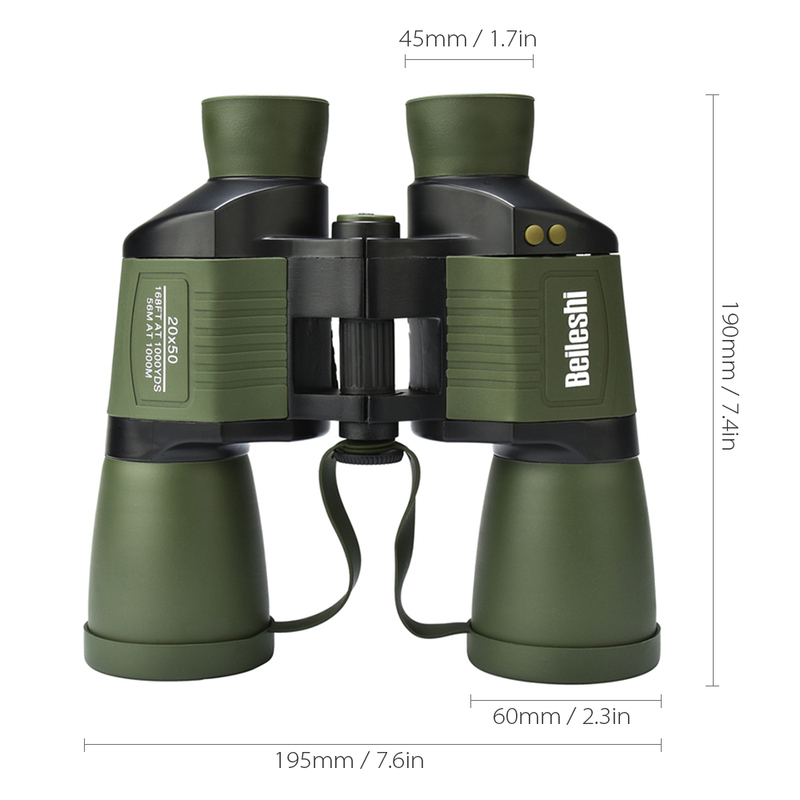 20×50 Wide Angle Binoculars 20 times magnification, BAK-4 prism for clear and intact images, and 50mm objective lens with coating film for more details in cloudy or light and shade contrast environment. 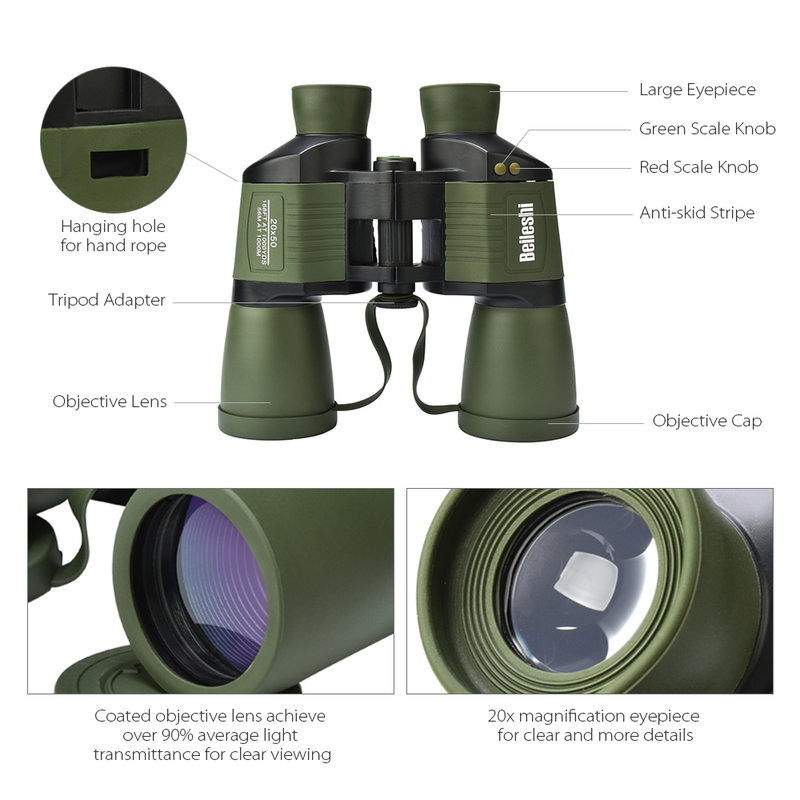 Metal body coated rubber for great durability and anti-skid and shock resistant grip, great telescope for outdoor birding, traveling, sightseeing and hunting. 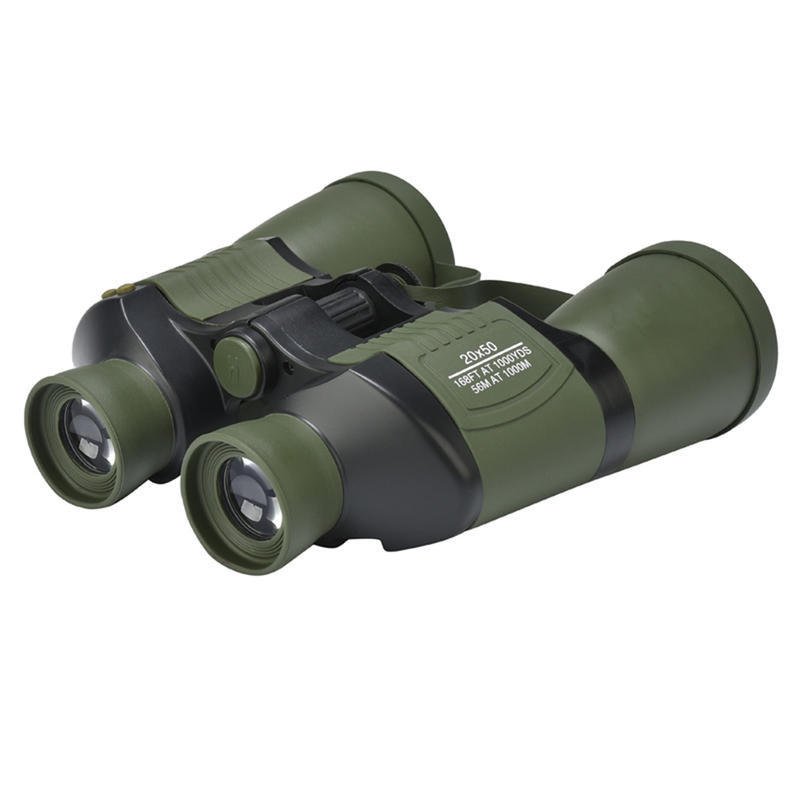 Feature: Close experience: 20x magnification with 50mm objective lens to zoom in the objects 20 times for clear and more details. 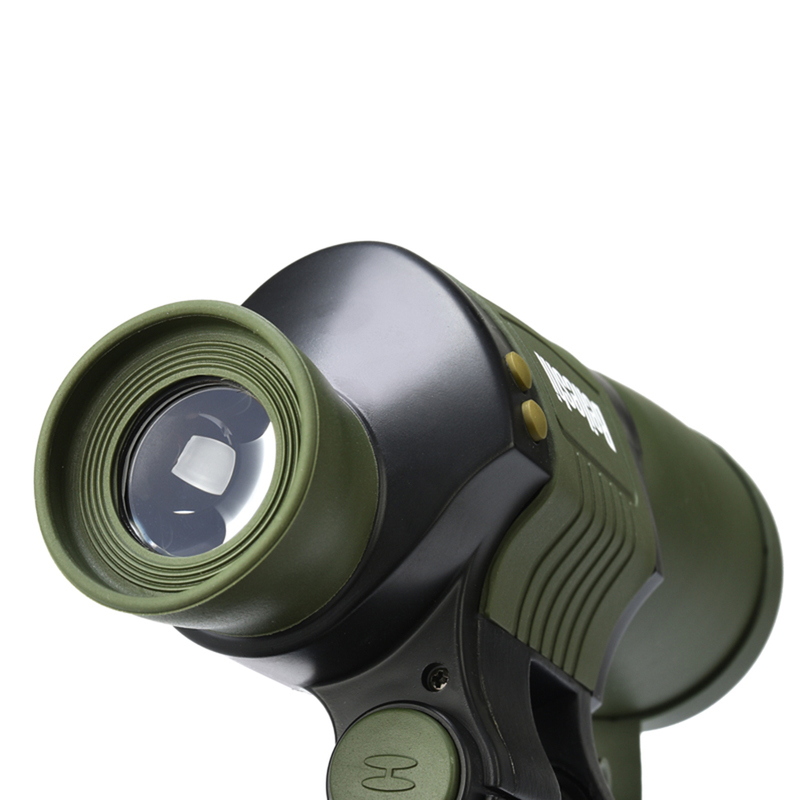 Clear & Intact image: Objective lens with coating film cooperate with BAK-4 prism achieve over 90% average light transmittance so you can see the images clearly and intactly even in the cloudy or in low light conditions. 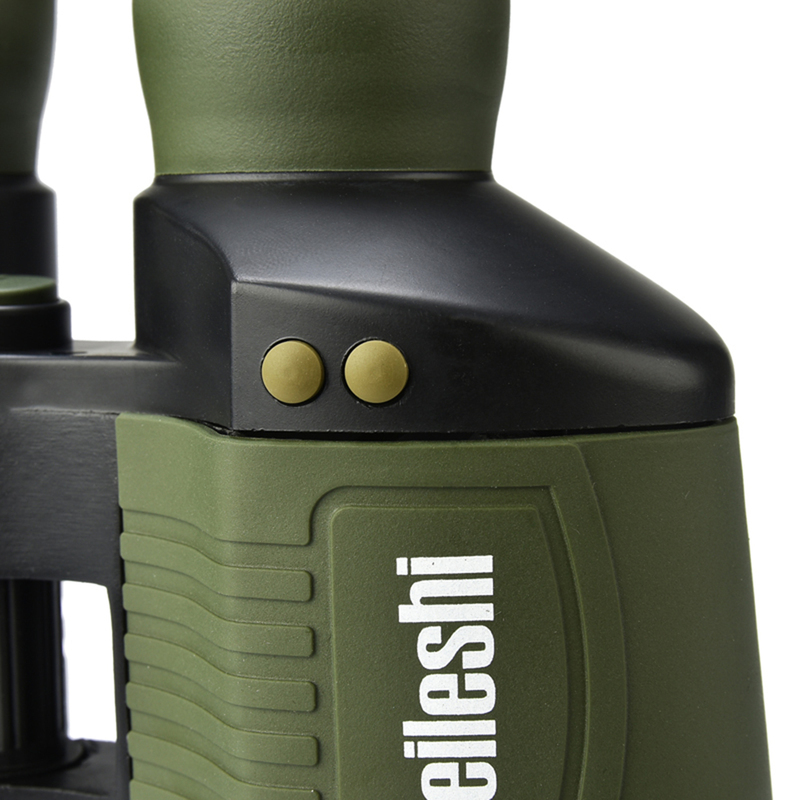 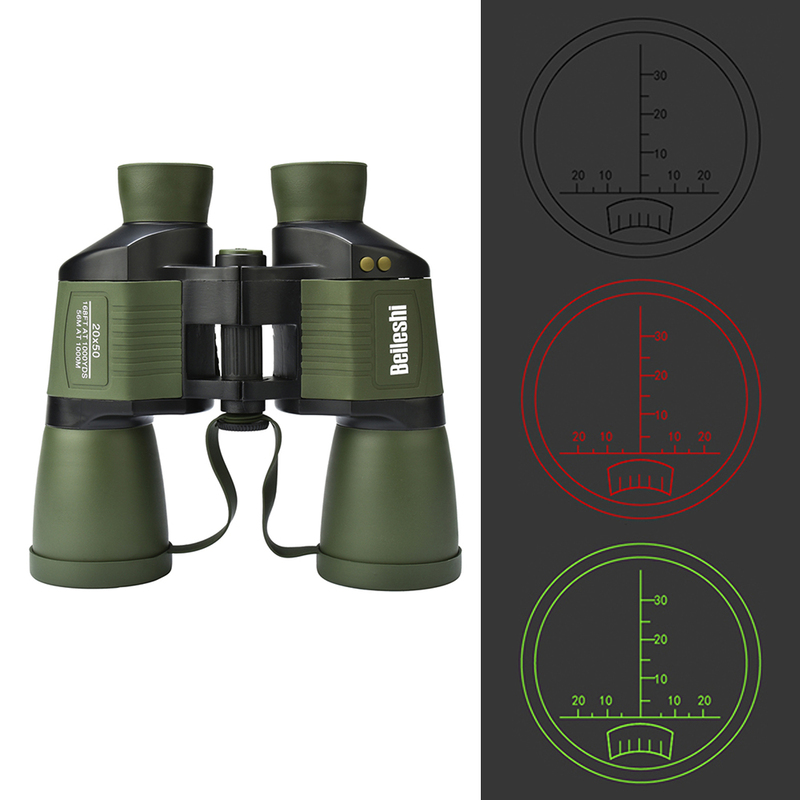 Rang finder: Clear reticle rangefinders allows you to estimate the distance between you and the objects. 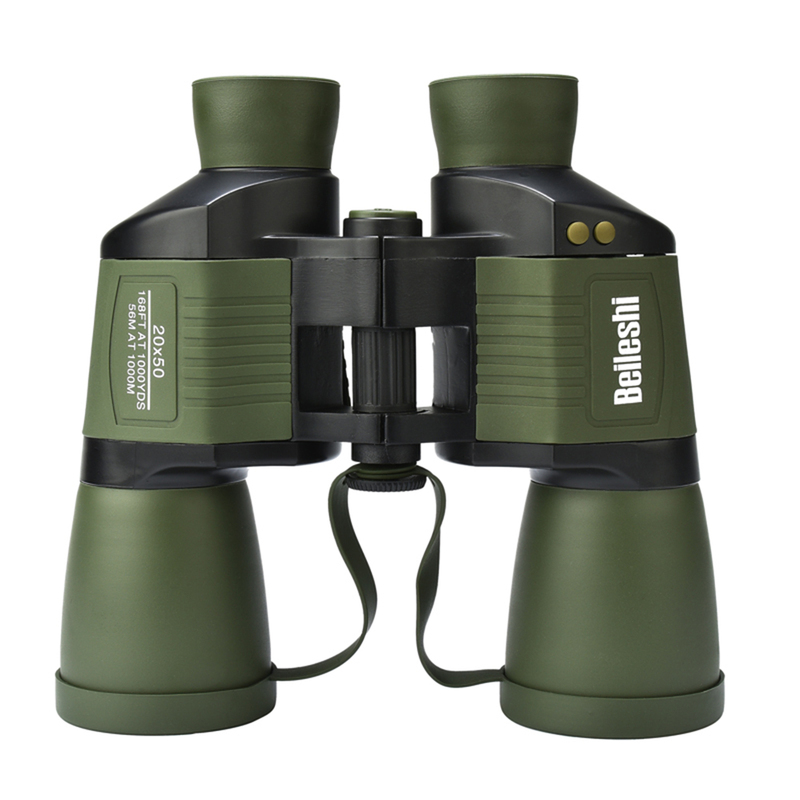 Shock absorbent & Durable: Metal body for great durability and coated rubber shell for anti-skid and shock resistant grip. 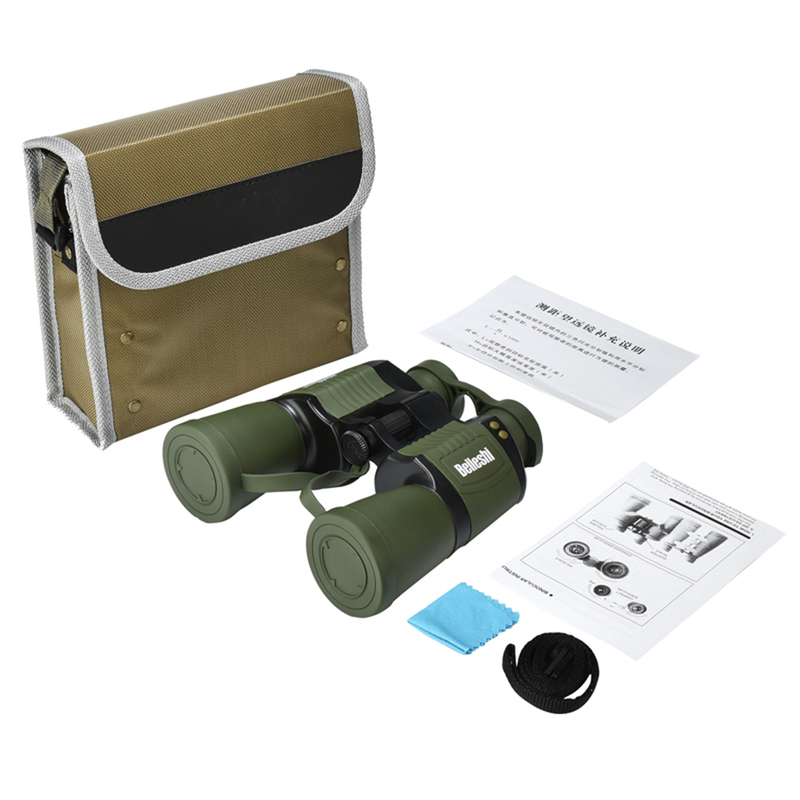 Portable: Come with a storage bag for convenient carry and a rope to grip it in hand. 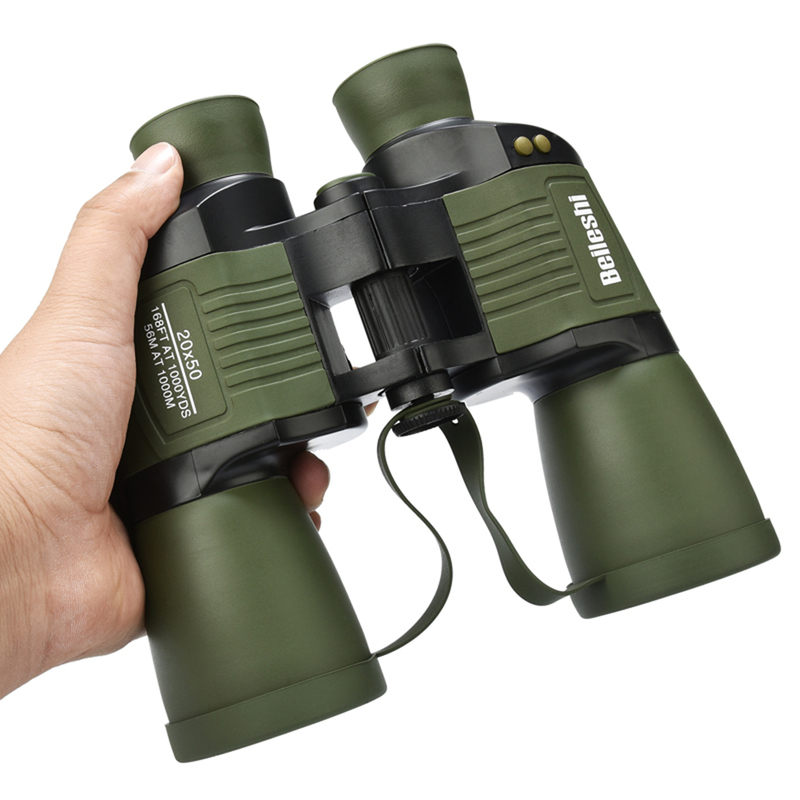 Outdoor necessity: Great for bird watching in tree farm, outdoor inspect, hunting and so on activities.